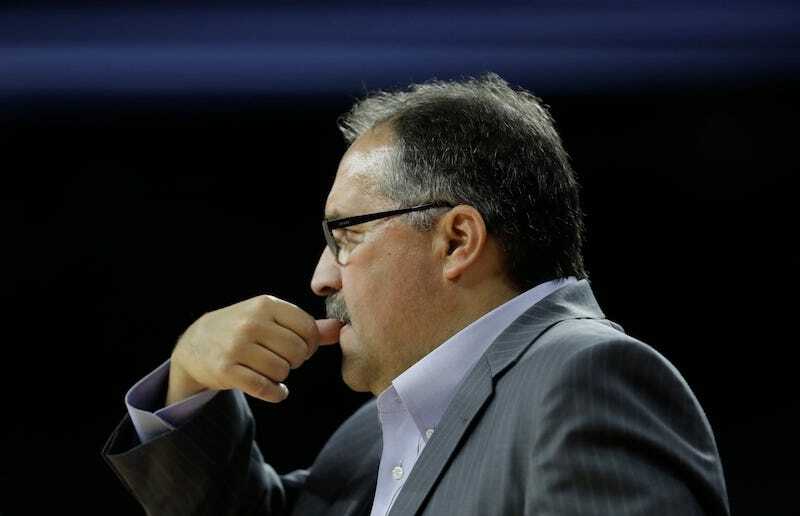 Stan Van Gundy On Trump's Victory: "We Have Just Thrown A Good Part Of Our Population Under The Bus"
Detroit Pistons coach Stan Van Gundy, like a portion of the country, spent his morning processing the news that Donald Trump would be the next president of the United States. “It’s embarrassing. I have been ashamed of a lot of things that have happened in this country, but I can’t say I’ve ever been ashamed of our country until today. Until today. We all have to find our way to move forward, but that was — and I’m not even trying to make a political statement. To me, that’s beyond politics. Donald Trump&apos;s Victory Speech: "I Am Reaching Out To You For Your Guidance And Your Help"